In the Tudor period flattery would get you a long way. It worked well for Edmund Spenser who wrote The Faerie Queen and who was given a £50 per annum pension by Queen Elizabeth I. Sir Walter Raleigh when he was imprisoned in the Tower of London wrote a poem called The Ocean's Love to Cynthia in 1603, although it is doubtful that the queen would have seen it. 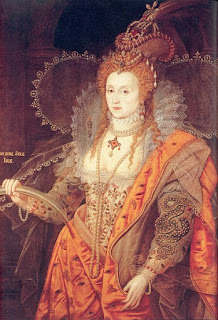 Cynthia was the Tudor name for the Moon goddess whom Raleigh compared to Queen Elizabeth. 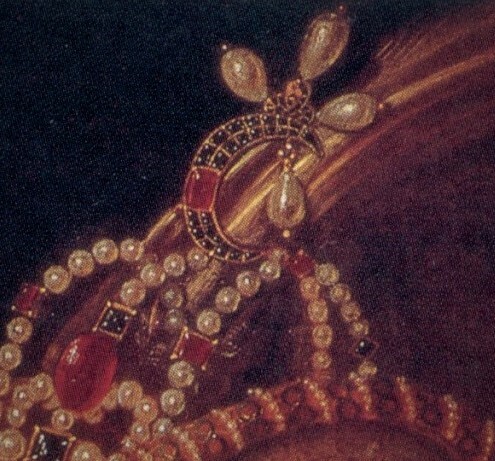 The Rainbow portrait of Queen Elizabeth I painted around 1602 by either Isaac Oliver or Marcus Gheeraerts includes a crescent shaped jewel no doubt alluding to the Moon goddess. When the Rainbow portrait was painted Queen Elizabeth was in her late 60s but the painter made her appear youthful and the many ornate ruffs helped to disguise her chin and neck. The painting is kept in Hatfield House (http://www.hatfield-house.co.uk/house-park-garden/the-house/the-rainbow-portrait/) and is open to the public. The painting is very symbolic and shows Queen Elizabeth's power and dominion over nature and her realm. 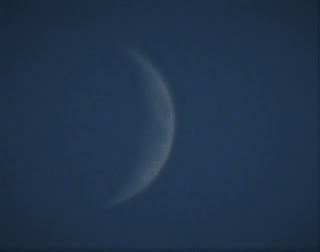 Here is a photo of the New Moon taken with the Tudor Telescope. The whole of the Marie Crispum and the edges of Marie Traquilitatis and Marie Fecunditatis can just be seen. My wife took two photos with her camera and a zoom and the results are very different. The terminator and a couple of craters can be clearly seen but the Maria are totally whitened out. Shakespeare makes many references to Cynthia as the Moon goddess in his works and refers to her as the pale Queen of the night. The virtuous Moon and ardent fiery Sun are often paired together by Shakespeare, for example in Edward III and Venus and Adonis, which I will expand on in my next posting.